It’s becoming a common story in the news these days – someone who was entrusted with the care of children molested them, abused them, and, in some circumstances, even killed them! These people are teachers, youth group sponsors, school maintenance workers, childcare givers, grandparents, fathers, and mothers. They live in our town, shop in our stores, attend our churches, and even interact with our children. They come in every form – male, female, short, tall, white, black, rich, and poor. I couldn’t sleep the other night just knowing the kind of danger my children are facing right here in our own town! The latest story I’ve heard is a mother who claimed that her children had been abducted when, in reality, she had murdered them and hidden their bodies! Why would she do that? 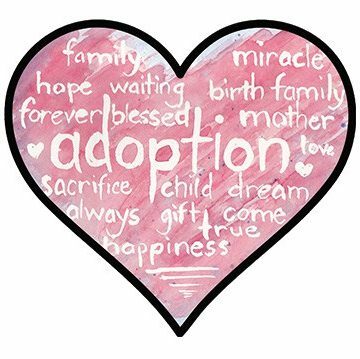 Why not give them up to the care of a loving adoptive family, who would keep them safe? If we can’t even trust the mothers to care for their babies, then who will? But it’s hard to reconcile the fact that according to http://www.childhelp.org, “More than five children die every day as a result of child abuse” or that “more than 90% of juvenile sexual abuse victims know their perpetrator in some way.” It’s hard to see God’s protective hand when evil is lurking around every corner! A day doesn’t go by that I don’t hear from a stranger how beautiful my children are. I even had a middle-aged man approach me at the park when Hannah was about 18-months-old and ask if he could hold her! Of course, it’s easy to glare at a stranger and run away with your child held closely to your chest. But what if it’s a grandparent who is doing the abuse? What if it’s your child’s caregiver? What if it’s your best friend’s husband? What if it’s your child’s teacher? How do you know? And how do we protect our children? 1. Pray. Before you do anything else, before you get out of your bed in the morning, before you get your kids dressed for school, before you eat breakfast, pray! Pray for your children’s safety. Pray that they will have wisdom to stay away from harmful situations. Pray that they will remember the safety tips you have given them. Pray that the adults caring for them will earn your trust daily. Pray that God will keep them under His wings. Pray, pray, pray! 2. Warn. I think one of the biggest mistakes we make as parents is to assume that harm will never come to our children. After all, we know the people in their lives, and we know that they would never, ever do anything to hurt our children! But if that’s true, then why are there so many children being abused by people they know? Don’t you think their parents probably felt the same way? Many parents are afraid that if they talk to their children about safety issues, they will terrify their children and give them nightmares. But there are appropriate ways to talk to your children no matter how old they are. Hannah will be four in a couple of weeks, but she already knows that there are certain areas of her body that are off-limits to others. She also knows that she is never, ever allowed to go off with someone without asking Mommy first – even if it’s a family member, friend, or another child. What do I tell her when she asks why? I simply remind her that we are all sinners and that there are bad people in the world who need Jesus. Without Him, they are serving Satan and don’t want what’s best for her like I do. She hasn’t had any nightmares. 4. Support. One of the biggest issues that children face is telling on someone they love. They don’t want to tell anyone that their grandfather is making them uncomfortable or that their teacher often holds them after class while everyone else gets to leave. Sometimes it’s a sense of protection for that person; sometimes it’s a feeling of embarrassment on their part for “allowing” it to happen; and sometimes it’s the fault of us parents for not believing them when they talk to us. We need to listen to our children and seek the truth in what they say. Listening is not just hearing their words but also noticing their body language, their demeanor, their apprehension when approached by that person. If we show our children we will trust them and listen to them when they tell us minor things, then they will know that they can come to us with the big things, too. And we have to take the time to praise them! Don’t ever, ever, ever ridicule your child – even in fun. The walls of trust will be broken down, and your children will be afraid to come to you when they are really in need. I am not writing this post to scare you, but I do think that we parents need to be more aware of the dangers facing our children. We can’t be with them every minute of every single day, although the news sure makes me want to hold on tight and never let them go! But we need to remember that they aren’t truly ours; they are God’s. He has simply let us borrow them for a time. And we are supposed to do our best to care for them, protect them, and then let them go. But let’s not be naive of what’s happening in our world. Pay attention to your child. If you start noticing severe changes in them, seek medical help. Investigate. We need to be advocates for our children. Don’t be afraid to confront someone if you suspect them of hurting your child. And be careful in choosing the people who are left alone with your child. While they may never do your child harm, it’s best to keep away from any possible appearance of evil. Lord, I give my children to you and ask that you protect them, guard them, watch over them, and keep them safe. Amen. If you or someone you love is being molested, neglected, or abused, please seek help immediately! Call your local shelter or police station and find protection now!